The rapid changes in LED lighting technology have given rise to an LED retrofit revolution. Across the globe, municipalities are opting to switch out their older street lighting to new, more energy-efficient LEDs. Unfortunately, these changes have also given rise to misinformation about LEDs, dark skies, safety and the environment. Myth #1: The use of LEDs reduces light pollution and is “good for dark skies” because they’re highly energy efficient. Yes, LEDs are more energy-efficient, but that fact can ironically lead to more light as cities spend the money saved on reduced electricity use to buy more lighting. In most cases, especially in the United States, there is a tendency to use more of something, not less, when the price of producing and distributing a product goes down. In economics, it’s known as the Jevons Paradox. “Governments and environmentalists generally assume that efficiency gains will lower resource consumption and are an effective policy for sustainability, ignoring the possibility of the paradox arising,” says researcher Blake Alcott, who coined the term. The retrofit revolution is particularly susceptible to the Jevons Paradox because demand for lighting worldwide continues to outpace supply and cities are lighting at higher levels because LED lighting makes adding new lighting a lot cheaper. Myth #2: The use of LEDs reduces light pollution and is “good for dark skies” because they make it easier to control where the light lands on the ground. According to one media report that’s representative of many others, “LED is better at confining light to the ground so it doesn’t go into the sky.” There’s some truth to this, but unfortunately, this leads to more glare, putting drivers and pedestrians at risk. A lot of LED lighting really does little to control the exact shape of the light output. Fun fact: The surface brightness of commercial white LEDs is now about 1/30 the surface brightness of the Sun, and surface brightness doesn’t scale according to the viewer’s distance from the source. The reason why this myth isn’t true is that short-wavelength (blue) light scatters a lot further through the atmosphere than long-wavelength light (red), even if it’s emitted by a fully shielded light fixture. According to recent research, replacing those older technologies with white LED is likely to make skyglow worse, even if the total amount of light from the fixtures stays the same. There’s no academic evidence for this. Some have argued that the more vivid colors provided by white LEDs somehow increases traffic safety, but it hasn’t been shown how that would work. An unpublished study by Nancy Clanton, a lighting researcher and designer, showed that the color of the light might be a factor in the ability to see moving objects at night. But no one seems to know yet how color affects actual traffic safety. For now we have no conclusive evidence that LED lighting enhances traffic safety. Myth #4: LED lighting improves security by discouraging crime. Similarly, we don’t know for sure one way or the other. So far, research has mostly focused on the brightness of light and ignored its color and other characteristics. And LEDs have the potential to decrease safety because they create much greater contrasts, which increases harsh shadows. Couple this with overlighting, and LED lighting has the potential to be detrimental to our security, regardless of its color. Myth #5: Energy savings from LEDs automatically means a lower carbon footprint, which is better for the environment. Again, it depends on how light is used. Individual LEDs produce more light for less electricity (and less money) than most other lighting technologies. That’s not in dispute. But we only get carbon and cost savings if we keep the amount of light used the same. Unfortunately, that’s not happening (see the Jevons Paradox, above). If the paradox is accurate, the world will demand more light as the price of producing it decreases. That goes for both the electricity and the cost of the fixtures, which are rapidly decreasing. Another issue is the dollar and carbon cost to produce LED lighting, and potential environmental concerns once the lighting becomes obsolete. Just as we worried about the disposal of CFL light bulbs and mercury contamination, we’ll have to deal with LEDs and some nasty heavy metals. Lastly, “better for the environment” should also consider the impact of all this light (especially blue light), on plants, animals and human health. Unfortunately, it rarely does. LED technology has a lot of potential to reduce light pollution – if it’s done right. If not, it can make things worse. 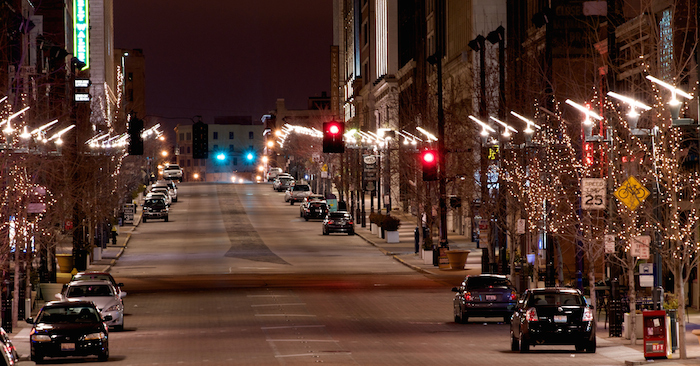 Municipalities must consider all the issues before implementing a LED street lighting retrofit. To read IDA’s recommendations, see our LED Practical Guide.